Cold and snowy in Cheorwon, with a low of -10C rising to a midday high of -8C, followed by sunshine and rather milder conditions in the afternoon. 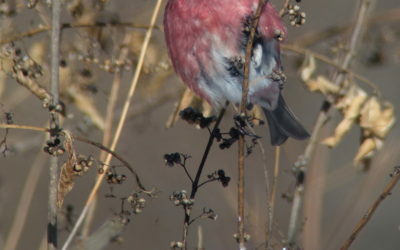 In Cheorwon highlights included 50+ Baikal Teal, c. 400 White-naped, 150+ Red-crowned and two adult Common Cranes, at least 84 Cinereous Vulture (including one with 6B in black on a white tag on the right wing), and 10+ Pallas’s Rosefinch. Cinereous Vulture Aegypius monachus © Nial Moores. 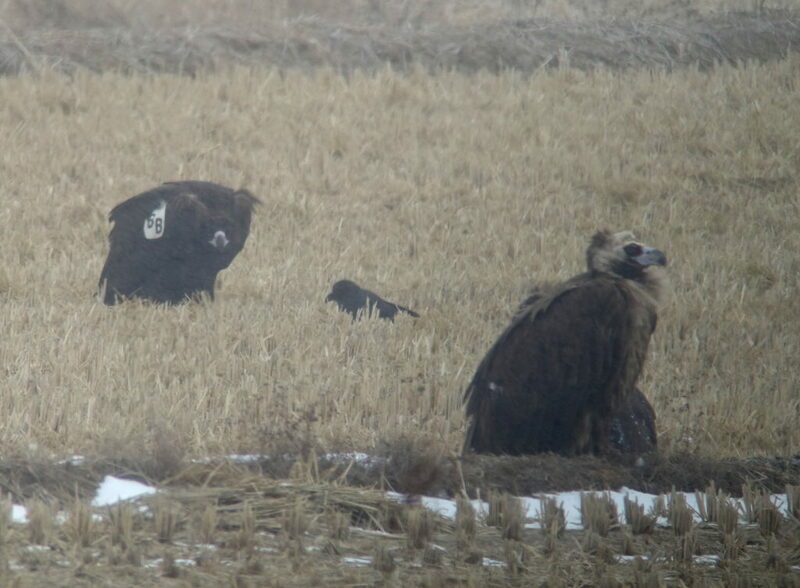 2CY with wing-tag on left, and presumed adult (a very scarce age-class in Korea) on the right. 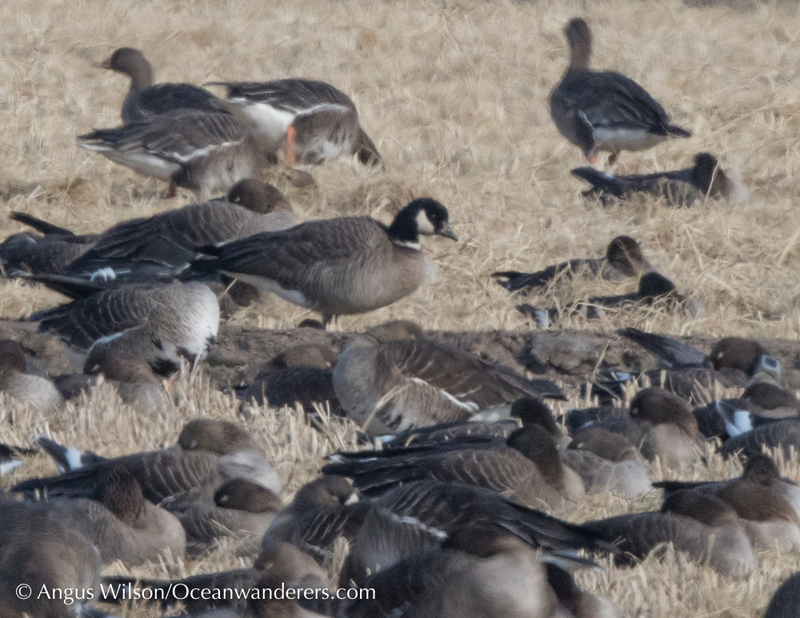 Approximately 30km to the south, we found several goose flocks – with the largest of these containing c. 3,000 Great White-fronted, 1-3 Lesser White-fronted and a single Cackling Goose. 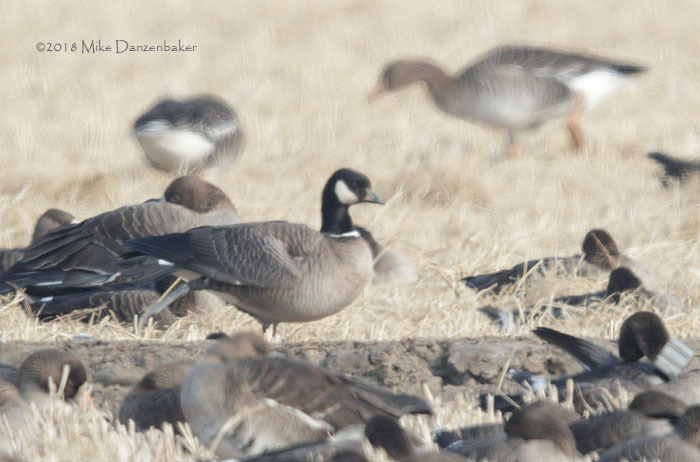 Identification to taxon of a stray Cackling Goose is fraught with challenges (see Sibley, Mlodinow et al and Wilson). 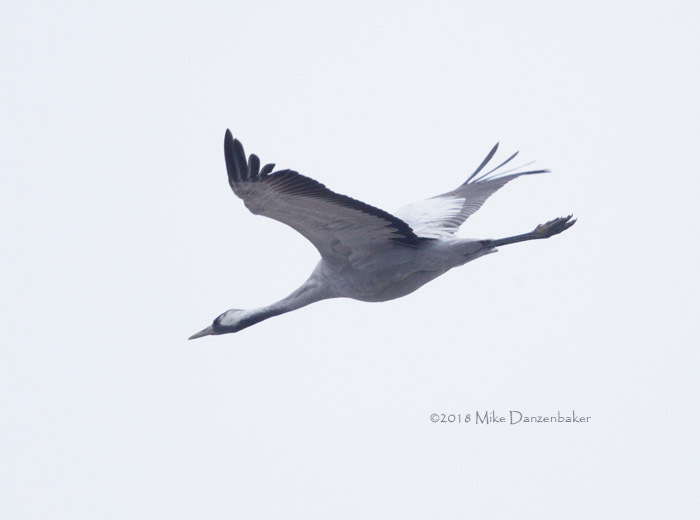 Based on the bird’s “cackler-bill” and steepish forehead, obvious white forecollar (edged darker below), dark gular stripe from bill to neck sock, moderately dark breast and moderately-large size, ID as leucopareia seems the most reasonable option. 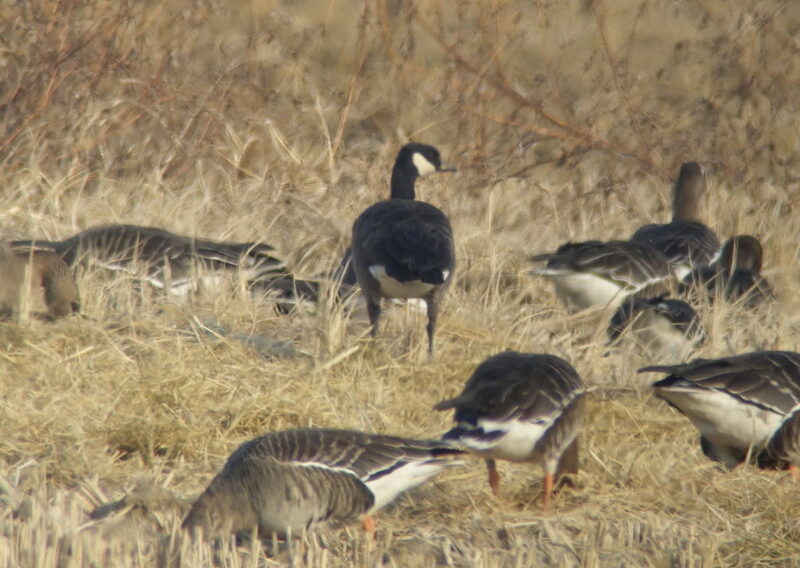 However, the bird’s fairly large size (sometimes appearing as large as or larger than some of the accompanying Greater White-fronted Geese) and bill shape also seems to allow for the possibility of taverneri (via Angus Wilson). Cackling Goose Branta hutchinsii leucopareia with Greater White-fronted Geese Anser albifrons © Mike Danzenbaker (top), Angus Wilson of oceanwanderers.com (middle) and Nial Moores (bottom image). 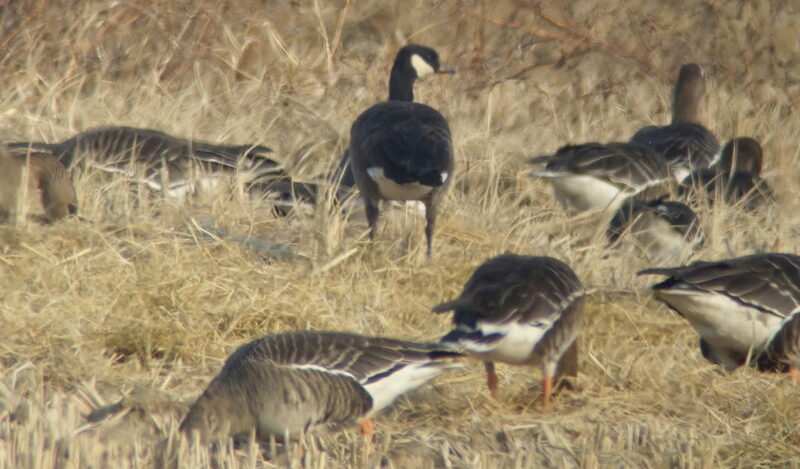 In the top image note the Greater White-fronted Goose on the right with the thick geolocator collar.